We know, we know. It’s only June 20. The non-waiver deadline is six weeks away. Most teams are still deciding whether to buy, sell or do both. I’m addressing three clubs in this column, and three only. The first is a likely seller. The second is in waiting mode. The third is a misguided buyer. All should sell, and sell hard. If your team is not included below, do not — repeat, do not — inundate me with “What about my club?” questions on Twitter. I will get to your club soon enough. Or maybe not. It’s my column, and I decide! 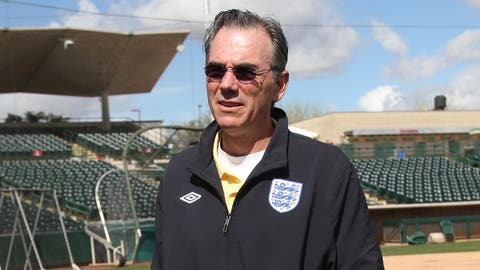 The A’s under Billy Beane rarely need an invitation to sell. A simple glance at the standings usually suffices, and lest anyone forget, Beane in 2014 actually traded Yoenis Cespedes as a buyer. So, why give the A’s a push? Because in recent seasons, they haven’t gone far enough, not so much with their trades, but with their overall approach to rebuilding. Beane and his front office deserve credit for attempting to compete, but a third consecutive sub-70 win season would provide definitive proof that the plan isn’t working. So, don’t just trade right-hander Sonny Gray, reliever Ryan Madson, second baseman Jed Lowrie, first baseman Yonder Alonso and any other player who could bring a modest return. Stop spending on veteran free agents such as Billy Butler, Trevor Plouffe and Rajai Davis, and let the kids play. The A’s, in fairness, signed Plouffe, Davis and Matt Joyce as placeholders for their youngsters, and they hit the jackpot with such a move last season, adding Rich Hill and then flipping him to the Dodgers with Josh Reddick for three young pitchers, including Jharel Cotton. Still, if Beane and Co. do their jobs well enough at the deadline, the team’s overall collection of young talent finally should be strong enough for them to stop collecting stopgaps. The future core is easy to envision: A rotation including Cotton, Sean Manaea and A.J. Puk; a lineup including catcher Bruce Maxwell, designated hitter Ryon Healy, third baseman Matt Chapman, right fielder Matt Olson and shortstop Franklin Barreto. I would move Alonso at the peak of his value rather than sign him to an extension. I would keep Marcus Semien and figure out the middle infield later. But mostly, I would want a team that would grow together as the A’s build toward the opening of their new ballpark, whenever the heck that might be. Would the results be any worse? Doubtful. And for once, the A’s would be building something of lasting value. Every team in the American League is within 4½ games of a postseason berth, so heaven forbid any of them surrender. The chances of some, though, are more realistic than others. The Tigers, once and for all, need to recognize that they’ve had a good run, and that it’s time to retool. Seriously, what is the upside here? Does anyone seriously expect the Tigers to catch the Indians, or extending the fantasy further, win a postseason series? Not when they’re 23rd in the majors with a 4.76 ERA and tied for first with 13 blown saves. Right fielder J.D. Martinez, a potential free agent, would be the most productive corner outfielder available. Alex Avila, another potential free agent (and ahem, son of Tigers GM Al Avila), might be the best catcher. There are the two Wilsons in the bullpen – Justin, under control through 2018, would be perhaps the top left-hander available, while Alex, slumping of late but under control through ’19, is a righty with value. Ian Kinsler might be more difficult to move, given his 10-team no-trade list and the limited demand for second basemen at the deadline. 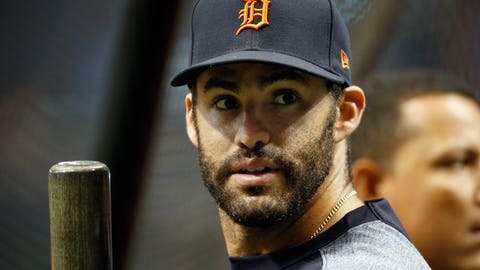 Ditto for right-hander Justin Verlander, who has a 4.50 ERA, full no-trade protection and $28 million salaries through 2019. The Tigers should explore the markets for both as well, if nothing else laying groundwork for the offseason. And first baseman Miguel Cabrera, who is owed $192 million from 2018 to ’23, including an $8 million buyout on an option in ‘24? Uh, he would definitely be an offseason move. Start with Martinez, Avila and the two Wilsons, and go from there. I’m not sure I admire any team more: The Orioles — outmanned, outspent but rarely outmaneuvered — have won the most games in the American League since the start of the 2012 season. Alas, they’re headed straight into a ditch. Their farm system is one of the game’s worst. Their 5.54 rotation ERA is the highest in the AL by a whopping 0.61 runs per nine innings. And they’ve allowed five or more runs in 16 straight games, an AL record and four shy of the major-league mark. Oh, and in case you’ve forgotten, four of the Orioles’ best players — third baseman Manny Machado, closer Zach Britton, center fielder Adam Jones and right-handed setup man Brad Brach — are eligible for free agency after the 2018 season. The problem is, the O’s rarely have been sellers since Peter Angelos purchased the club in 1993. They’ve already told at least one rival club unequivocally — much to that club’s surprise — that they again plan to be buyers. Who exactly can the Orioles offer? And what exactly is their end game? In truth, it’s not an ideal time for the Orioles to move Machado, who is in the middle of his worst offensive season, or Britton, who last pitched May 4 due to a strained left forearm and is about to begin a rehabilitation assignment. The O’s, to be sure, never would send Machado to the Yankees or Red Sox, the contenders with the biggest needs at third base. But what would be the harm in making him available, just to see how high teams might jump? 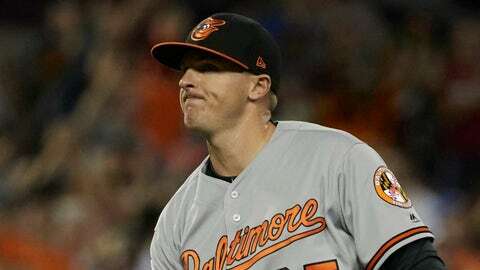 At the least, the Orioles should shop Brach as well as outfielders Seth Smith and Hyun Soo Kim, both potential free agents; catcher Welington Castillo, who holds a $7 million player option for next season; left-hander Wade Miley, who is under a $12 million club option. The bottom line: Drastic action is required — sooner, rather than later. 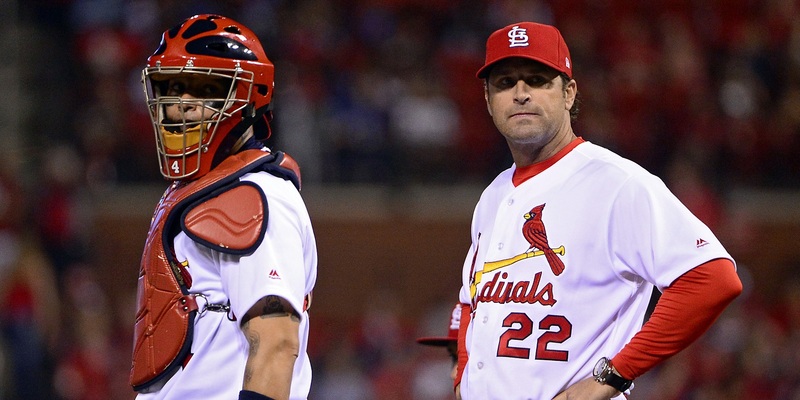 Gallery: Which of these 8 would-be MLB contenders should surrender and sell?